Turkish MPs have approved a constitutional reform package that would place remarkable executive powers in President Erdogan’s hands. Critics see the proposal as a power grab, though it is yet to be adopted, with a referendum upcoming. 339 MPs voted in favor of the 18-article law, which would make the president the head of the executive and axe the post of prime minister, state-run Anadolu news agency reported on Saturday. A second and final round of voting on the constitutional amendments began on Wednesday after almost three weeks of heated debates in the parliament. The Turkish people will now have the final say in a referendum, expected to take place in early April. Changes to the constitution need to be approved by at least 367 of the 550 members to become law. Proposals that get between 330 and 367 votes should be approved in a referendum. 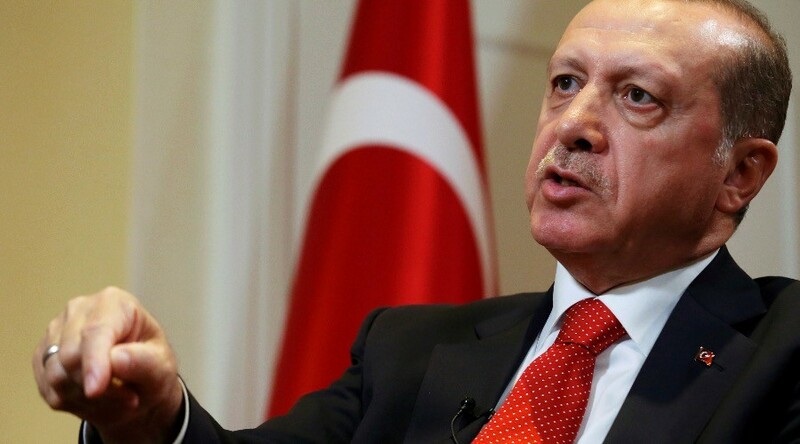 If the changes are approved by the people, President Recep Tayyip Erdogan will become the sole executive head of state, with authority to choose his own cabinet ministers, enact laws, call elections, or declare states of emergency. His term in office would last five years, renewable once. In turn, the parliament’s oversight over the executive will be limited to a number of functions, including submitting written requests for information, initiating parliamentary inquiries, and holding “general meetings” to discuss issues relating to the government’s actions, according to NTV. Moreover, Erdogan’s ties to the ruling AK party would be restored, as the amendments allow the president to be a member of a political party. Earlier this week, the AK party secured the majority of votes to proceed with the constitutional changes with the backing of the right-wing Nationalist Movement Party, the fourth largest party in the parliament. “We have done our job. Now we convey the issue to its real owner, our people,” Turkish Prime Minister Binali Yildirim was quoted as saying by Anadolu. Earlier in January, he welcomed the idea of abolishing his own post, saying, “we are not crazy for power,” according to AFP. “Two captains sink the boat. There must be one captain,” he stated during the first parliamentary debate on the changes. The opposition, however, calls the proposed changes a blueprint for a power grab. On Friday, Bulent Tezcan, deputy chairman of the Republican People’s Party (CHP), maintained the amendments were “creating a one-man regime that will take [Turkey] wherever his appetite desires,” according to AP. Kemal Kilicdaroglu, head of the CHP, said he regretted the parliament’s decision to “hand over its own authority” and “betray” its history. He also vowed to hold early elections before the constitutional amendments take effect. “We are saying ‘hold an election first,’ as they do not go to an election. 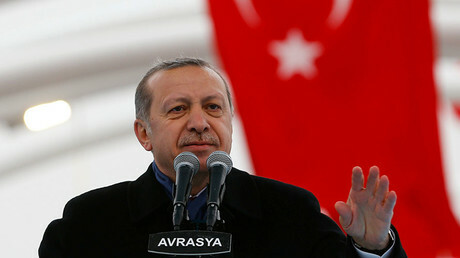 They are the ones who are afraid of the nation’s will,” he said, as quoted by Hurriyet. The parliamentary vote on the changes has been taking place amid tensions between the ruling party and the opposition. Last Thursday, AK party MPs openly flouted a rule on secret balloting, assaulting an opposition lawmaker who used her phone to film them. One AK member also had a gash on his leg, claiming to have been bitten during the brawl. The 62-year-old Erdogan came to power in 2002, a year after the AK party was formed. He spent 11 years as Turkey's prime minister before becoming the country's first directly-elected president in 2014. Turkey has been in a state of emergency since a failed coup in July last year. The status was prolonged after a series of terrorist attacks in the country, including a mass shooting in an Istanbul nightclub on New Year's Eve.